Space weather events such as geomagnetic storms can disturb the earth's magnetic field, interfering with electric power grids, radio communication, GPS systems, satellite operations, oil and gas drilling and air travel. Scientists use models of the earth's structure and measurements of Earth's magnetic field taken at USGS observatories (https://geomag.usgs.gov/monitoring/observatories/) to determine which sections of the electrical grid might lose power during a geomagnetic storm. In a new U.S. Geological Survey study/a>, scientists calculated voltages along power lines in the mid-Atlantic region of the U.S. using 3D data of the earth. These data, taken at Earth's surface, reflect the complex structure of the earth below the measurement sites and were collected during the National Science Foundation EarthScope USArray project. The scientists found that for many locations, the voltages they calculated were significantly different from those based on previous 1D calculations, with the 3D data producing the most precise results. 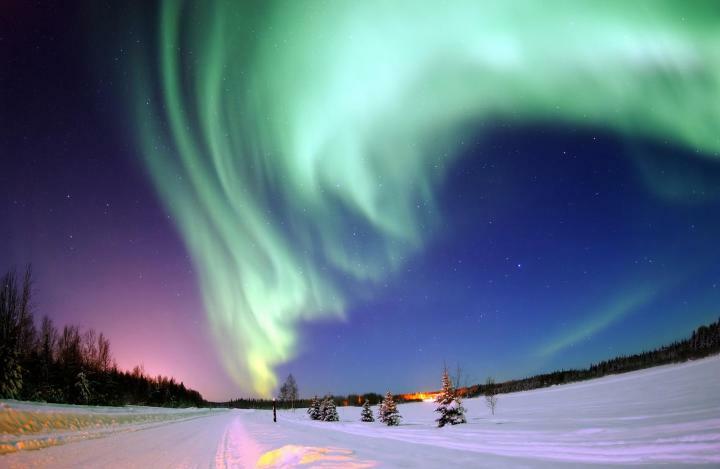 "Using the most accurate data available to determine vulnerable areas of the power grid can help maintain life-saving communications and protect national security during severe geomagnetic storms," said Greg Lucas, a USGS scientist and the lead author of the study. "Our study suggests that 3D data of the earth should be used whenever they are available." Electric currents from a March 1989 geomagnetic storm caused a blackout in Quebec and numerous glitches in the U.S. power grid. In past studies, scientists using simple 1D models of the earth would have found that 16 high-voltage electrical transmission lines were disturbed in the mid-Atlantic region during the storm, resulting in the blackout. However, by using realistic 3D data to calculate the 1989 scenario, the new study found that there might have actually been 62 vulnerable lines. "This discrepancy between 1D- and 3D-based calculations of the 1989 storm demonstrates the importance of realistic data, rather than relying on previous 1D models, to determine the impact that a geomagnetic storm has on power grids," Lucas said. The new study is published in the journal Space Weather. For more information about the effects of geomagnetic storms, please visit the USGS Geomagnetism Program website.